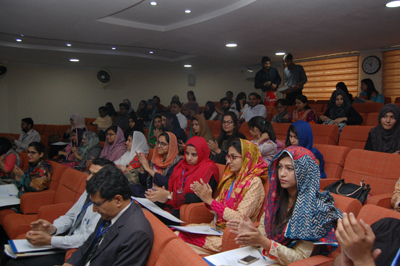 Institute of Administrative Sciences (IAS) in collaboration with Punjab Economic Research Institute (PERI) has organized a two-day conference with a pre-conference event – PhD Colloquium held today, 19 th March 2018. The colloquium provided an opportunity to PhD students in the fields of governance, management & human resources to share and discuss their thesis ideas and preliminary research. It provided doctoral researchers with an exciting opportunity to present their work-in-progress, and receive feedback from peers, and distinguished academicians, as well as to network with other PhD scholars. 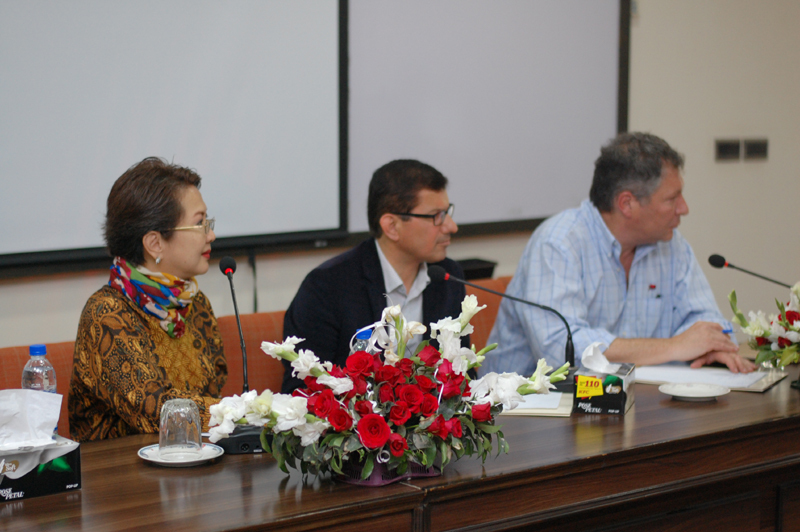 Dr. Yaamina Salman – PhD Program coordinator welcomed the participants and worthy speakers at the PhD colloquium. 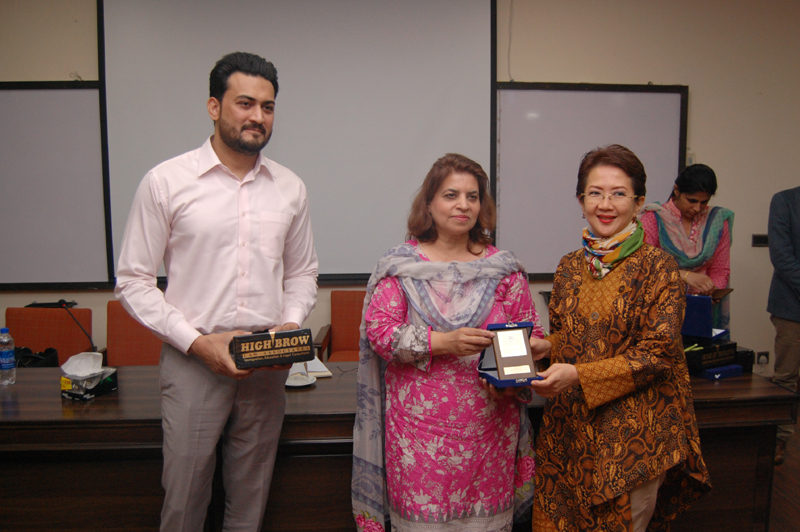 The holy recitation was followed by a warm welcome address by Prof. Dr. Nasira Jabeen – Dean Faculty of Economics & Management Sciences (FEMS) and Director Institute of Administrative Sciences (IAS). Dr. Jabeen shared the history and inception of the institute since 1962 and its journey from department of Public Administration to Institute if Administrative Sciences (IAS). She shared about the extended academic portfolio that IAS offers while responding to the ever increasing demand of the market employability trends. She shared the research based degrees being offered by IAS. 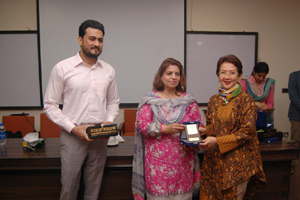 Dr. Jabeen said in her speech that being a pioneering institution in the public administration and management, it is our social responsibility to act as an intellectual hub to connect community of public administration and management scholars, practitioners and professionals and the PhD colloquium is actually a step-up towards that direction. It is an excellent opportunity for budding scholars and post graduate researchers to come together, network, collaborates, and integrate for research. 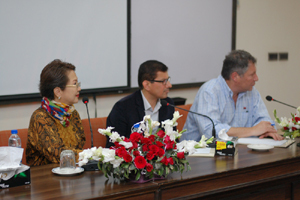 The colloquium included three talks on research methodologies and challenges in writing research thesis. Dr. Yanki Hartijasti – faculty member from University of Indonesia delivered a talk on “Use of Mixed Methods in Management Research”. Dr. Nezir Akyesilmen talked on Do's & Don'ts of PhD Dissertation. Whereas, Prof. Evan Berman shared his thoughts regarding Success in PhD Research. The talks were followed by question & answer session. 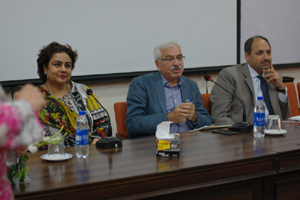 To discuss and talk further on the challenges and solutions of writing PhD thesis was undertaken at a panel discussion on the difficulties faced by PhD Scholars' community moderated by Prof. Dr. Zafar Iqbal Jadoon – Adjunct Faculty member at University of Houston. 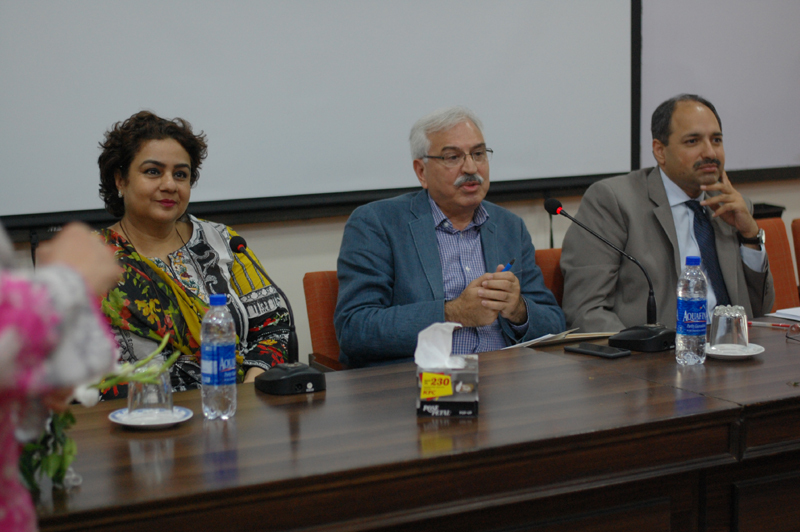 Panelists included Dr. Amra Raza – Associate Professor and Chairperson Department of English Language & Literature, University of the Punjab - , Dr. Mumtaz Anwar, Director Punjab Economic Research Institute (PERI). Dr. Amra gave a very thoughtful brief talk on salient features to keep in mind while selecting the research topic, how to define the scope of research. She also shed some light on the life skills that one grasps while undergoing the research process and how it transforms one's thinking process. Dr. Mumtaz shared in his talk about the higher ranking of Pakistan's research in Scientific Journals Ranking (SJR) due to the field of medicine and agriculture but the real challenge in management research is about the access and availability of primary data. Academia is doing fruitful researches in the field of management and public administration but these have to be translated in the governmental policies too. Dr. Zafar Iqbal Jadoon shared his comments after the panelists' talk and opened the house for questions and answers session. PhD students shared their concerns with the panelists for the possible solutions and opinions they have out of their vast experience. The colloquium closed with a distribution of shields to the speakers' alongwith a note of thanks to the sponsoring organization; Highbrow Law Associates. 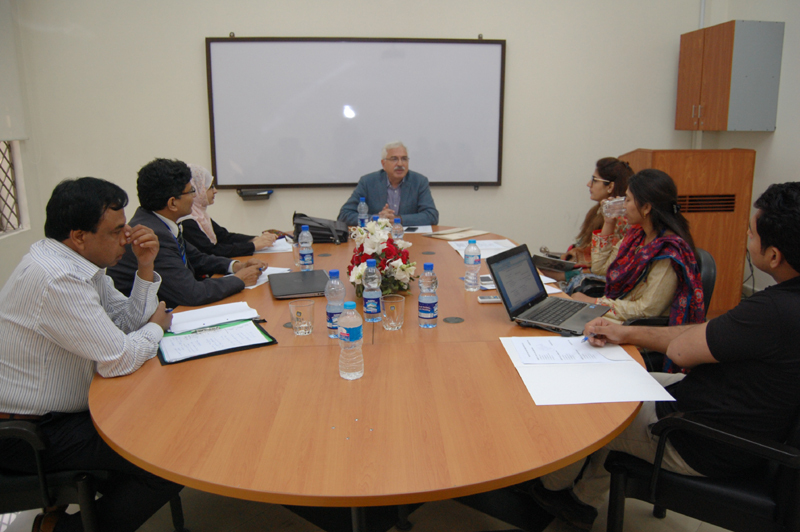 The lunch break was followed by a roundtable of PhD Scholars with Mentors; Prof. Dr. Zafar Iqbal Jadoon, Dr. Mumtaz Anwar and Dr. Yanki Hartijasti where they had discussions in closed groups regarding their on-going research work. Scholars received feedback on their PhD work/synopsis in progress.